The fire station in Hedel was conserved in April by Van Vuren facility services. The building has been cleaned with a neutral cleaner and then provided with the protective coating NITOCRYL. NITOCRYL is a water-based, durable, color-restoring and reversible renovation coating for, among other things, window frames and sheet materials. 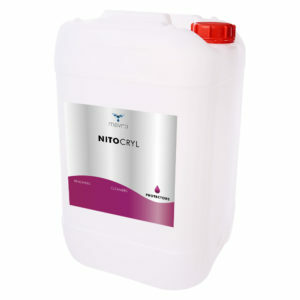 NITOCRYL has a lifespan of no less than 4 to 6 years. Because of the color restoring power NITOCRYL gets faded and faded colors, this makes the building look like new again!